C.J. 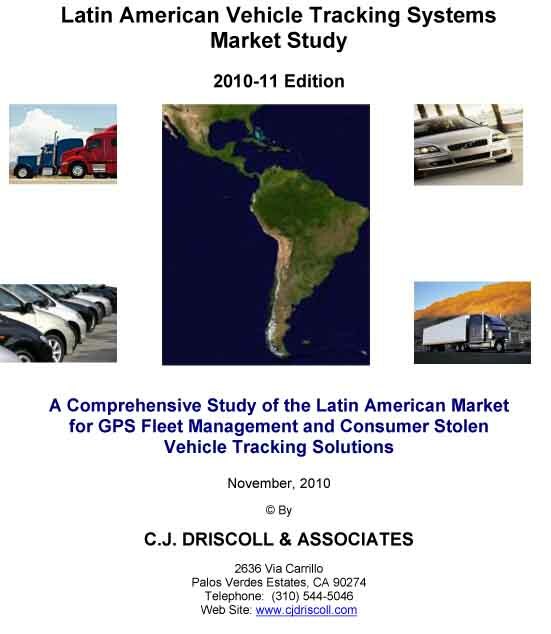 Driscoll & Associates has released a comprehensive new study on the Latin American market for vehicle tracking solutions, including GPS fleet tracking and consumer stolen vehicle recovery and telematics solutions. The research is based on interviews conducted over a 15-month period with executives of more than 100 Latin American suppliers of GPS tracking products and services. Clement J. Driscoll, founder and principal of C.J. Driscoll & Associates, directed the 2010-11 Latin American Vehicle Tracking Systems Market Study. The 252-page report includes numerous charts and tables summarizing data on the leading suppliers and projected market growth for each Latin American region. Detailed profiles are provided on more than 120 vehicle-tracking suppliers, including company background, target markets, core features, installed base, and available equipment and service pricing. Latin America is currently a large market for fleet and consumer vehicle tracking solutions and the region is poised for continued expansion, Driscoll says. The vehicle parc (vehicles in use metric) in Latin America totals more than 77 million, including 22 million commercial vehicles. 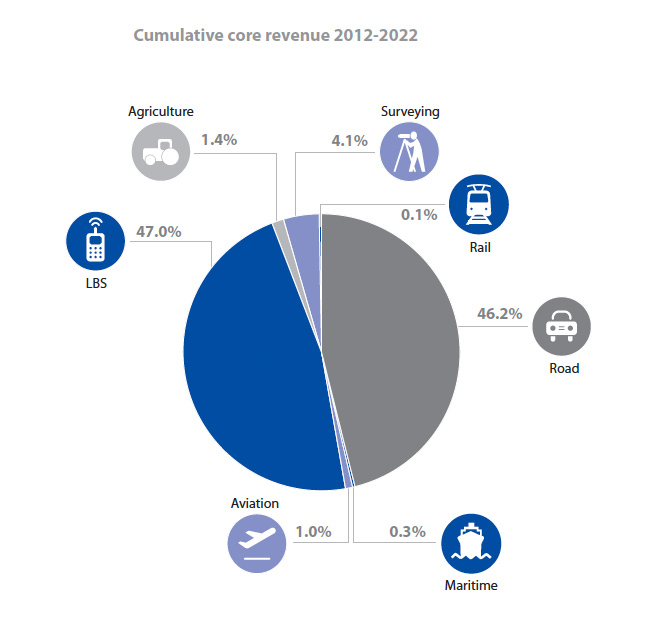 By 2030, the vehicle parc is projected to grow to about120 million. The high rate of growth of the Latin American economy is creating the need for greater efficiency in transporting goods and more effective monitoring of corporate and personal vehicles and assets. According to the study, Latin American gross domestic product (GDP) is projected to grow 5.7 percent in 2010, versus 2.7 percent growth for the world’s advanced economies. Brazil accounts for about half of Latin America’s GDP and the country’s economy is on track to grow at a rate of 7.7 percent in 2010. While the Latin American economy is growing, many countries are plagued by high rates of vehicle theft. Brazil’s vehicle theft rate is four times the rate in the United States, and the theft rate for cars and trucks in Mexico, Argentina, Venezuela, and several other Latin American countries is comparable. This study concludes that in Latin America today, approximately one million fleet vehicles are equipped with GPS fleet management solutions, with 60 percent of these operating in Brazil or Mexico. In addition, more than three million cars are equipped with stolen vehicle recovery (SVR) or telematics solutions that include security and convenience features. In 2010, Latin American revenues from vehicle location hardware sales and services for fleets and consumers are projected to total nearly $1.5 billion, and the study projects that this will grow to nearly $2.7 billion by 2014. The report covers the GPS vehicle tracking market in each South American country, as well as Mexico and Central America. Based in Palos Verdes Estates, California, C.J. Driscoll & Associates is a consulting and market research firm that focuses on GPS and wireless products and services.